Kammererite (pronounced Cam-er-Rare-right) is a very rare crystal indeed and very hard to find as a polished slice. What little Kammererite there is comes mostly from Turkey, Canada and Norway, and from very recent finds in India, which is exactly where this wonderful piece comes from, Orissa in the North East of India on the Bay of Bengal. As ever, Mo and I have hand selected the very best pieces from those shown to us. Kammererite is excellent for furthering our own spiritual development and for providing us with endurance to sustain us on our spiritual quest. There are lots of pictures and photos of Kammererite about, but you very seldom see it for sale, and certainly not a high quality piece like this one. There is some black matrix present, but given how rare it is, that's more than acceptable. There may also be green areas of Chromate or Chlorite present too. What you are looking for is a good spread of the purple/magenta colour and a good depth of colour too - exactly what this top quality stone has. 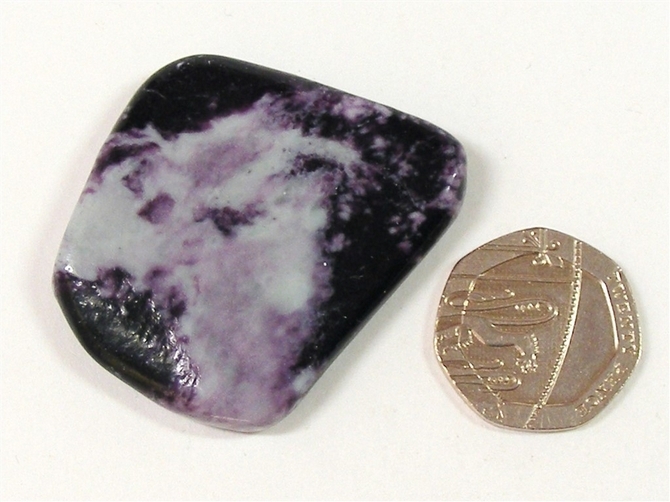 This is a great piece of a rare stone ! Kammererite is thought to assist in treating problems of the male reproductive system. It is also believed to help with bacterial infections and with pain and stiffness in the muscles and joints. Kammererite is also a useful stone to keep at hand when we wish to undertake any type of detox programme. Kammererite helps to clear our mind of unwanted clutter and helps us to see things in a more reasonable way. It helps to dispel anger, fear, guilt and negative thoughts and also helps us to be more sensitive to other peoples needs. Kammererite is a stone of spiritual development. It strengthens both the Third Eye chakra and also the Crown chakra helping us to further develop our spiritual life. It can provide us with endurance to sustain us on our spiritual quest. 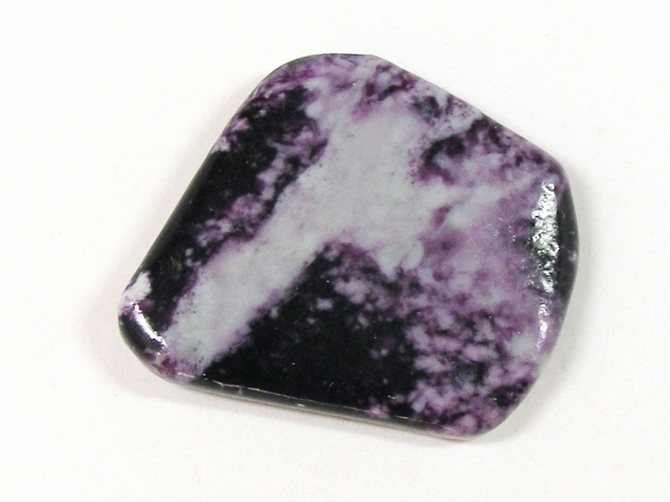 It is also an excellent stone for cleansing the aura and removing energy blocks in our chakras. Kammererite helps us to be more flexible in our spiritual outlook and not to stick rigidly to one idea or one belief. It allows us access to our own inner consciousness in order to examine and determine the "truths" that guide our own life.